On the weekend I stumbled across this fantastic Art Deco cinema in the rural NSW town of Scone, and had to get some pics. 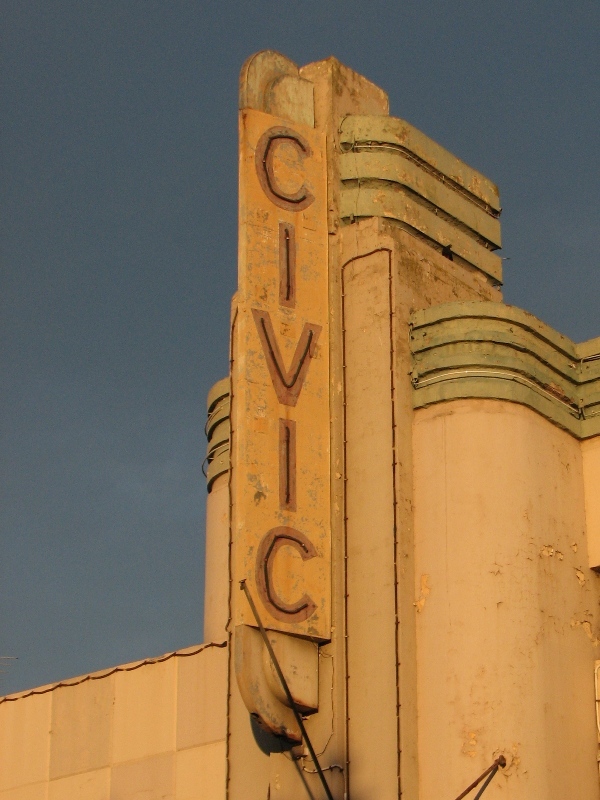 The Civic Theatre, which opened in ’38, was designed by the renowned cinema architectural firm Crick and Furse. Crick and Furse believed that theatre style should be unassuming. Their style focused predominantly on surface design, surface texture, plaster finishes and lighting. It’s interesting to note that in comparison to Art Deco architecture overseas, Crick and Furse’s building facades can sometimes seem simple or plain. This is due to them often being an upgrade of an existing building, which obviously imposes a number of design restrictions. The firm is most famous for their work on the Kings Theatre chain in Kings Cross. 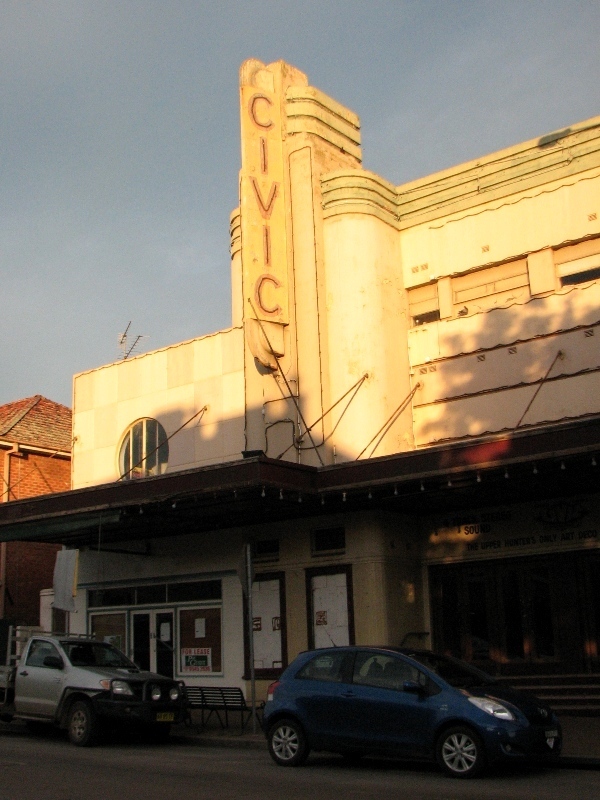 The history of this cinema chain is outlined in the book For All The Kings Men: The Kings Theatres of Sydney, NSW. (by Ross Thorne & Kevin Cork, ISBN 0 958806969). A small excerpt from the book is below. 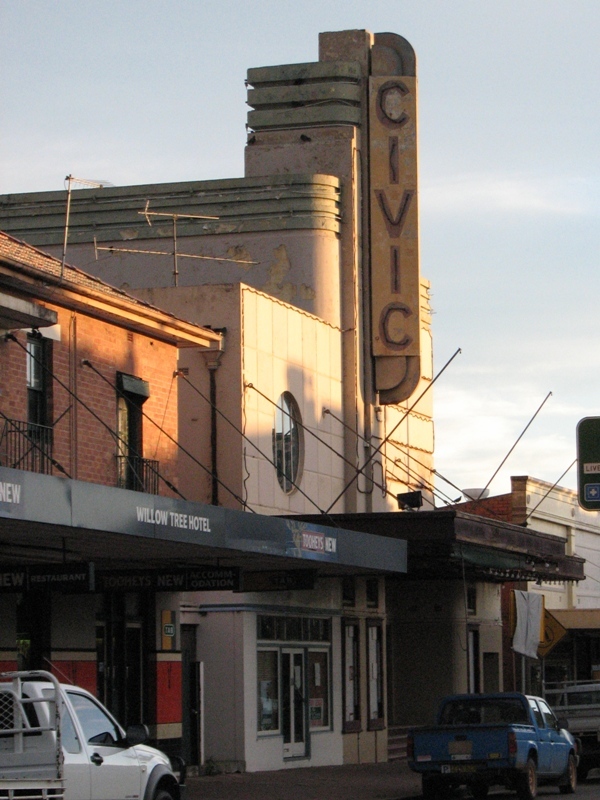 Today the Civic Theatre in Scone remains one of the very few cinemas from this era to have not been significantly renovated or completely demolished. Basically its an Art Deco time capsule, and is listed on the state heritage register to protect it. Awesome, have followed the instagram account. Thanks for stopping by and letting us know. My pleasure! It’s so wonderful that they are restoring the theatre!